No Great Things : Midnight Breakfast!!! When Fordham's President Fr. Joseph McShane sat all of our parents down as they were dropping off their kids at this strange place in the Bronx, he wanted to assure them that we would be loved and formed by our next four years in a fantastic family. This was the first time I ever heard tell of one of my favorite Fordham traditions, Midnight Breakfast. One night during the finals exam period every semester, they throw open the doors to the cafeteria and everyone is invited in for a smorgasbord of bagels, waffles, eggs, juice, coffee, and soda served by the school's administration (Father McShane always gave you bacon and good luck). Students crawl out of the library, put down their notes, and catch up with friends, relax, and enjoy an hour of food and caffeine. It was always such a glorious break full of love and laughter. Fast forward a year, we are worried about the students and their stress levels during finals here at FSIL. Putting heads together with the family living here for a couple of months, we hosted FSIL's first ever Midnight Breakfast. 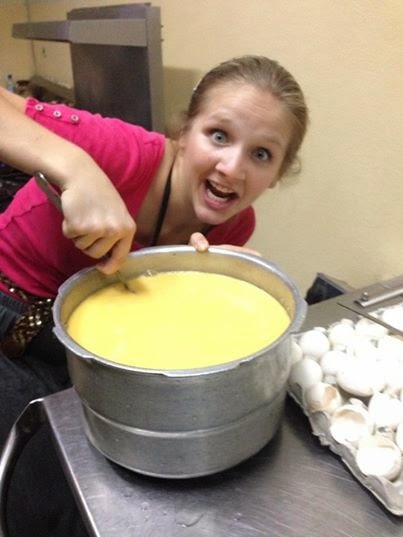 310 eggs, 180 pancakes (and having bought out all of the pancake mix in Leogane), and 6 gallons of Tang later, we had some happy students. Humorously, we have about 9 bottles of leftover syrup. 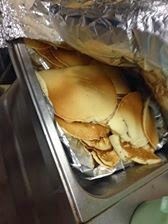 It was most of the students first time ever eating pancakes and they didn't know to use it! Me and my favorite food. 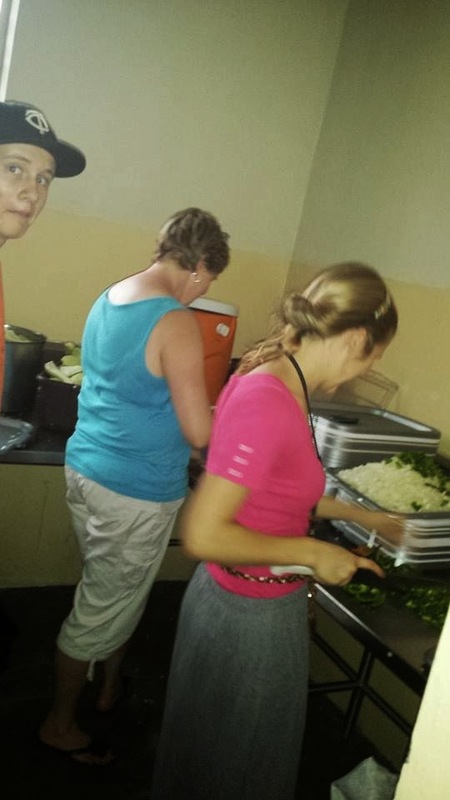 36 onions, 36 peppers, and 1 knife with a handle on it.